There are many options when considering which animal you will ride into battle. The other day, I was watching a Jimmy Tatro video. If you did not already know, I am a big fan of his. As I watched the video, Jimmy’s friend, Christian, asked a question that caught my attention. Right when he stated the question, I knew I had to write a story on it for The Quill. The question was, what animal would you ride into battle? Sure, there are plenty of things to consider when responding to this question. Those might include the following: where and when was the battle, who am I fighting, and how am I fighting. There is so much to consider when picking, so I have decided that it is completely up to you. There are no limitations to the battle you will create in your head, and there are no limits to the beast that you can think up. I will give you my opinion, and a few other students who commented on the question. 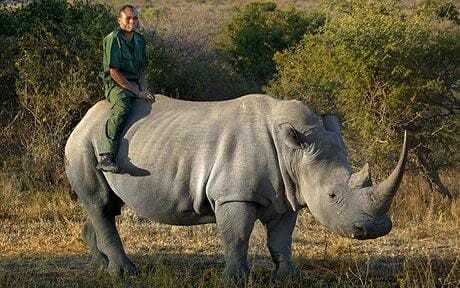 Men have tried to mount the Rhino. With that being said, the one and only animal that I would ride into battle is the Rhinocerotidae. Better known as a Rhinoceros, they are without a doubt, my favorite animal on the Earth. Before I go any farther, please visit https://www.savetherhino.org/ to help stop them from going extinct. The Rhino is a sturdy and strong beast. Ever since I saw the popular Marvel movie, Black Panther, I have been convinced that Rhinos would be my animal of choice for riding into battle. The biggest Rhinos can reach 5,000 pounds and run upwards of 30 MPH. Imagine an animal of that size moving like an automobile, and it is running right at you with a warrior on its back. I would not want to mess around with a beast of that stature, and I do not think there are too many people out there who would either. Kyle Mardis shared his own unique stance with me stating, “I would ride a walrus into battle.” Bold. He doubled down saying, “A walrus would be a no brainer.” Though, by remembering to not judge a book by its cover, I asked Mardis why. A walrus seems like an odd choice, but Mardis made a great point saying, “A walrus would take everything that’s sent at it by the enemies because the thing is massive. It would tear through the enemies with its tusks as well. So it would basically be like a mini tank.” I would ride a mini tank into battle, so Mardis may be right. Walruses can grow to nearly 12 feet and weigh around 2,000 lbs, so they are by no means, a small creature. I would love to see a Rhino take on a Walrus, but there are still plenty of other good choices out there. This frightening snake would be tough to deal with on the battlefront. The next beast will move us toward the fantasy realm. I spoke with avid reader and Harry Potter fan, Logan Watts. He stated that his animal of choice would have to be the Basilisk. 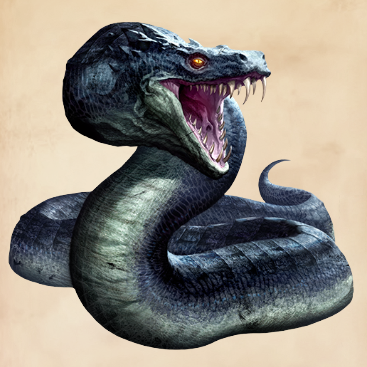 The Basilisk originates in the Harry Potter series, and Logan added that, “Looking one directly in the eye will instantly kill the victim, while indirect contact would result in petrification.” Though, there is one weakness that this mighty beast has. That is, it’s only known mortal weakness is the crowing of a rooster. Logan also stated, “It can grow 50 feet in length and it has armored skin and extremely powerful venom that will kill a victim within minutes.” For reference, the biggest living snake species today is the Reticulated Python, which has been known to grow to nearly 23 feet. Now, try to picture a snake of twice that size that you cannot even look at its face. Logan may be the most feared person on the battlefield. In continuing my search of the best beast to ride into battle, I spoke with another fervent reader, Spencer Bono. He stated that his animal of choice would be the Dire Ferret. When I first heard his response, I could not help but chuckle. Ferrets are cute little house pets. 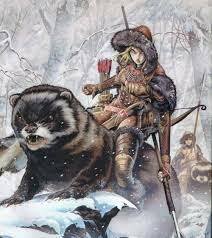 How could one ride a ferret into battle? That chuckle did not last long as he showed me a picture of the Dire Ferret. It can grow up to 10 feet long and reach a weight of 700 pounds. Normal ferrets that we are familiar with only reach 14-15 inches in length and between 2-4 pounds. Spencer explained to me why he chose this creature stating, “You can send them on stealth missions in order to stalk people in the darkness. Also, they are great mounts for rangers and thieves.” Check out the picture of this mythical beast if you really want to see what you are up against. Their face may be cute, but there is no doubt that you will not want to get in their way on the battlefield. Jake Voelkerding also commented on the debate. He kept his response very blunt saying, “I would ride Brad into battle.” For those unfamiliar, he is referring to Brad James. Brad measures in at 5′-11″ and weighs a staggering 170 pounds. For comparison, the average adult male is 5′-9″ and almost 200 pounds. The scary thing is, Brad is still growing. 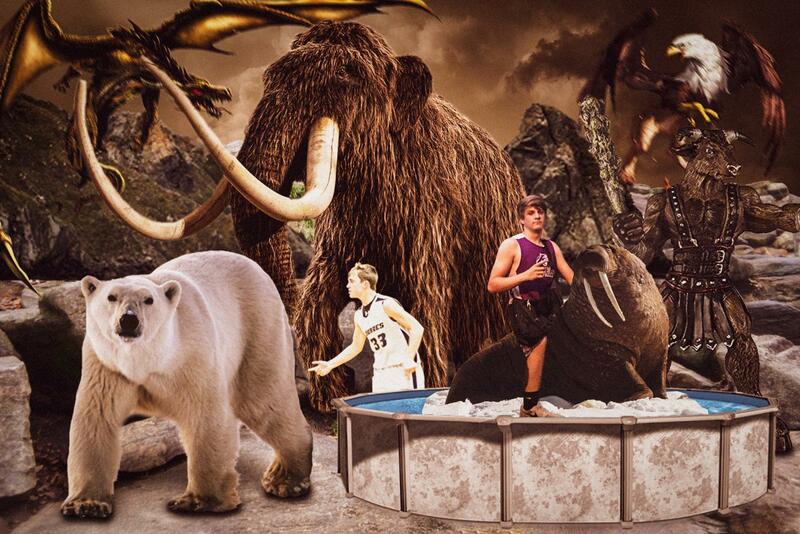 Opponents will cower in fear as Jake rides Brad into battle. There are plenty of other animals that deserve mention. I few of those would include the following: a dragon, a polar bear, a T-Rex, the Mighty Minotaur, a griffin, a saber tooth tiger, and even a mammoth. I could go on all day, but I am still of the opinion that nothing can top the Rhinoceros. Feel free to argue with me if you see me in the halls.